Give your fence a fresh look with a new, quality stain. Fence staining is a great way to add a fresh look to your outdoor space without getting an entirely new fence. 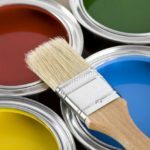 While the end result can add appeal to your home, the process can be lengthy and require time and attention. At Prep-Rite Painting, we know you don’t always have the time or resources to complete your fence staining in Cary, North Carolina, which is why we are happy to offer professional fence staining services to all our customers. Our team will make sure your fence is properly washed and stripped as needed before applying the stain. This ensures the stain will protect the wood and look great for many years. At Prep-Rite Painting, we don’t cut corners during fence staining. You can count on us to make sure each job is done with great attention to detail, which will leave you with a beautiful, quality stain that will withstand weather and other wear and tear. As a locally owned and operated business, the satisfaction of our customers is very important. We know the success of our business depends on the quality of our work, and we make each customer and job our priority. You can trust we will get the job done efficiently, correctly, and with respect to your home and property. When it comes to fence staining, working with our professional team will make the whole process easier for you, and you can feel confident you will love the new look of your fence. If you have any questions or would like an estimate of our services, give us a call today! At Prep-Rite Painting, we offer fence staining services in Apex, Cary, Holly Springs, Fuquay Varina, Chapel Hill, and Raleigh North Carolina.